Le blog Historiens de la santé prend quelques semaines de vacances. Il sera de retour le 17 août. 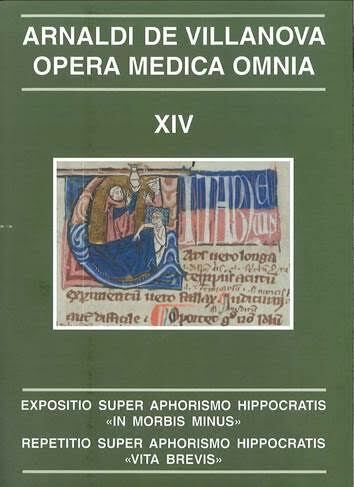 This latest volume to be published in the collected medical writings of Arnau de Vilanova provides editions, with introductions and indexes to words and sources, to his two surviving commentaries on individual Hippocratic aphorisms (unlike some of his Montpellier contemporaries, he seems not to have produced a commentary or set of questiones on the Aphorisms as a whole) . His commentary on “In morbis minus” (Aph. II.34), composed in the mid-1290s, was apparently driven by an early belief that the aphorism encapsulated a general rule for an aspect of medical practice; the text does not survive in manuscript and is edited here from its Renaissance editions. The accompanying edition of his commentary on “Vita brevis” (Aph. I.1), which he finished in 1301, uses manuscript sources to correct the text given in the various sixteenth-century collections of his Opera, which scholars until now have automatically used without recognizing that a fifth of Arnau’s original had been intentionally discarded by a later bored scribe, and another ten percent replaced by a very long passage from Avicenna’s Metaphysics! 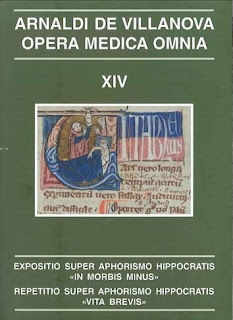 The restored complete text is of great interest, especially for Arnau’s detailed, almost step-by-step account of how a physician should deal with a new patient, moving through the stages of diagnosis to those of therapeutic prescription (he was delivering the commentary, of course, to his students at Montpellier). And it shows, too, how his conviction that general rules were possible in medicine had weakened since he had prepared his commentary on II.34, and that he had come to realize that the contingent factors which make each case an individual one were of equally great importance to a physician. The Department of History seeks to appoint a full-time Teaching Fellow in the History of Medicine. You will take seminars on the first-year undergraduate module ‘Making of the Modern World’ and you will convene, taking lectures and seminars, the second-year undergraduate module ‘From Cradle to Grave: Health, Medicine & Society in Modern Britain’, for a total of eight seminar groups of approximately fourteen students per group. You will also teach occasional lectures for other undergraduate modules as required by the Head of Department and as appropriate to subject knowledge. You will undertake lecturing, seminar teaching, essay tutorials, office hours, marking of undergraduate work, exam invigilation, and monitoring of student attendance in accordance with the Department’s quality assurance practices. You will also act as personal tutor to an assigned group of undergraduate students, providing pastoral support and guidance during the academic year. You will be actively engaged in research in the History of Medicine, or a comparable field. You will possess experience in undergraduate teaching and subject specialism appropriate for research-led teaching in the History of Medicine. You should also possess a PhD (or equivalent) in History. Please direct all informal inquiries to Mr Robert Horton, the History Department Administrator, at R.S.Horton@warwick.ac.uk. 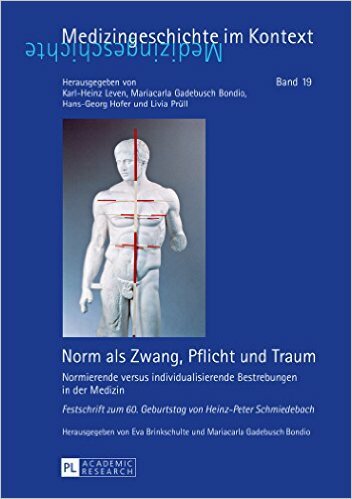 Erklärte Ziele der Medizin sind Wiederherstellung, Erhaltung sowie Förderung der psychischen und physischen Gesundheit. Dabei wird in der alltäglichen Praxis oft die Grenzziehung zwischen dem «Normalen» und dem «Pathologischen» unreflektiert vorgenommen. Der Band ist der interdisziplinären Aufarbeitung von medizinischen Normierungsdiskursen und -praktiken vom 19. bis 21. Jahrhundert gewidmet. In den Beiträgen werden die Bestrebungen, normale bzw. durchschnittliche medizinische Werte zu definieren, ausgelotet: Von der gesundheitspolitischen Normierung der Gesundheit bis zu den Visionen einer anzustrebenden gesunden «Normalität», deren Grenzen heute durch die Optimierungspraktiken der wunscherfüllenden Medizin verwischt sind. L’Institut Européen d’Histoire et des Cultures de l’Alimentation (IEHCA) organisera les jeudi 26 et vendredi 27 mai 2016 à Tours (France) la seconde édition de sa désormais annuelle Conférence Internationale. Cette manifestation s’inscrit dans le prolongement des actions que mène l’IEHCA depuis douze ans à travers sa politique éditoriale, son soutien à la recherche et son travail de mise en réseau des chercheurs en Food Studies. Le succès de l’année précédente où près de 120 chercheurs ont été réunis, nous a conforté dans notre volonté de pérenniser cette manifestation et d’en faire un rendez-vous de référence, organisé en partenariat avec l’Equipe Alimentation de l’université François-Rabelais de Tours et la Chaire UNESCO « Sauvegarde et Valorisation des Patrimoines Alimentaires » (Université de Tours). Toutes les propositions relevant des Food Studies seront examinées et tous les chercheurs seront les bienvenus (doctorants, post-doctorants, enseignants-chercheurs, chercheurs indépendants...). Ce symposium est par essence pluri- et transdisciplinaire et couvrira l’ensemble des périodes historiques. Contrairement à l’année précédente, le présent appel consiste en priorité en un appel à sessions, seront donc d’abord examinés et retenus les candidatures portant sur l’organisation de panels thématiques. Les candidatures individuelles ne seront examinées que dans un second temps. Chaque session devra durer 1H30. Elle comportera un modérateur et de deux à quatre communicants. Idéalement trois (avec, dans ce cas, des communications d’une durée de vingt minutes). Le chercheur soumettant la proposition de session pourra en être le modérateur. S’il est au nombre des communicants, il lui revient de trouver un modérateur ou, à défaut, un modérateur sera attribué par les organisateurs. La date limite d’envoi des candidatures est fixée au 30 octobre 2015. Les réponses vous parviendront aux alentours du 15 janvier 2016. IMPORTANT : aucun frais d’inscription n’est demandé mais aucun défraiement n’est prévu pour les participants à la conférence. 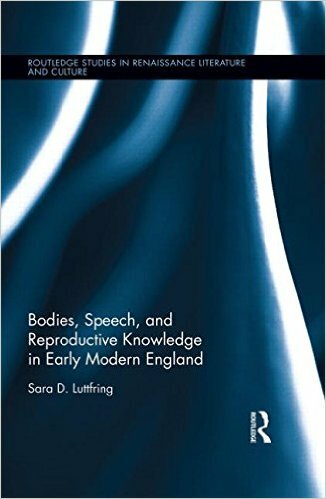 This volume examines early modern representations of women’s reproductive knowledge through new readings of plays, monstrous birth pamphlets, medical treatises, court records, histories, and more, which are often interpreted as depicting female reproductive bodies as passive, silenced objects of male control and critique. Luttfring argues instead that these texts represent women exercising epistemological control over reproduction through the stories they tell about their bodies and the ways they act these stories out, combining speech and physical performance into what Luttfring calls 'bodily narratives.' The power of these bodily narratives extends beyond knowledge of individual bodies to include the ways that women’s stories about reproduction shape the patriarchal identities of fathers, husbands, and kings. In the popular print and theater of early modern England, women’s bodies, women’s speech, and in particular women’s speech about their bodies perform socially constitutive work: constructing legible narratives of lineage and inheritance; making and unmaking political alliances; shaping local economies; and defining/delimiting male socio-political authority in medical, royal, familial, judicial, and economic contexts. This book joins growing critical discussion of how female reproductive bodies were used to represent socio-political concerns and will be of interest to students and scholars working in early modern literature and culture, women’s history, and the history of medicine. Proposals for this theme could consider medieval theories of digestion, medieval understanding of the parts of the body involved and their functions – which might also involve wider cultural beliefs about the mouth, teeth, stomach, intestines, evacuation, etc – and ideas about what might go wrong with these processes and members and what could be done about it. Proposals for this theme could consider (fears of) food poisoning (both intentional and as a result of adulteration or other issue), choking, cooking and other food-related occupational injuries, cases of diarrhoea or dysentery linked to food intake, unusual unintentional ingestion e.g. leeches, snakes, spiders, or status-related illness due to not being able to eat the foods deemed appropriate to one’s station. Proposals for this theme could include food cravings, surfeit, alcoholism, mobility problems linked to obesity, hunger as a sign of illness/cure, any perceived medieval relationship between hunger, poverty and disease, emaciation as sign of voluntary fasting (where perceived to be a health problem), or emaciation as a sign of involuntary starvation or serious illness (the latter already recognized in the Hippocratic corpus). Please send a title and a 200-word abstract to Iona McCleery at the University of Leeds by 10 September 2015 via email at i.mccleery@leeds.ac.uk. Please visit https://www.leeds.ac.uk/ims/imc/imc2016_call.html for more details on the congress including estimated registration and accommodation costs and the bursary fund. 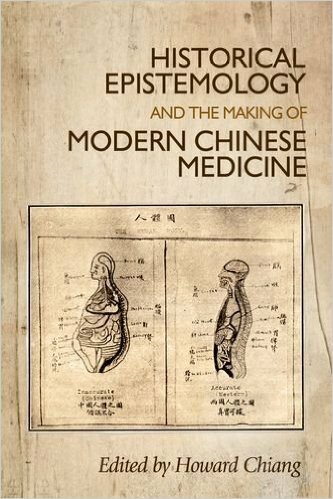 This collection expands the history of Chinese medicine by bridging the philosophical concerns of epistemology and the history and cultural politics of transregional medical formations. Topics range from the spread of gingko's popularity from East Asia to the West to the appeal of acupuncture for complementing in-vitro fertilisation regimens, from the modernisation of Chinese anatomy and forensic science to the evolving perceptions of the clinical efficacy of Chinese medicine. The individual essays cohere around the powerful theoretical-methodological approach, historical epistemology, with which scholars in science studies have already challenged the seemingly constant and timeless status of such rudimentary but pivotal dimensions of scientific process as knowledge, reason, argument, objectivity, evidence, fact and truth. 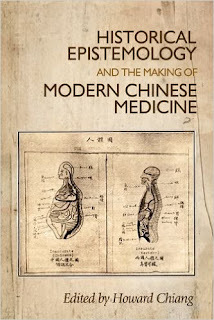 Yet given that landmark studies in historical epistemology rarely navigate outside the intellectual landscape of Western science and medicine, this book broadens our understanding of its application and significance by drawing on and exploring the rich cultures of Chinese medicine. In studying the globalising role of medical objects, the contested premise of medical authority and legitimacy, and the syncretic transformations of metaphysical and ontological knowledge, contributors illuminate how the breadth of the historical study of Chinese medicine and its practices of knowledge-making in the modern period must be at once philosophical and transnational in scope. This book will appeal to students and scholars working in science studies and medical humanities as well as readers who are interested in the broader problems of translation, material culture and the global circulation of knowledge. The Royal College of Physicians of Ireland is delighted to announce the launch of the fifth annual RCPI History of Medicine Research Award. The award will be made as part of the Heritage Centre Lectures at the St Luke’s Symposium, to be held on Tuesday 13 October 2015. This is a public event, to encourage engagement with the history of medicine in Ireland. The award prize is €500. 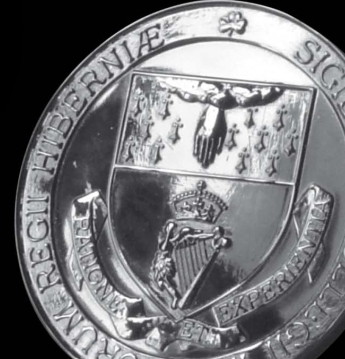 The RCPI History of Medicine Research Award is open to all researchers in the field of the history of medicine in Ireland, as well as related social and cultural history fields. The purpose of the award is to support and develop the study of the history of medicine in Ireland, and to promote the use of the library, archive and heritage item collections held by RCPI. Applicants are asked to submit an abstract based on their research (maximum 800 words) with a copy of their CV, by Friday 4 September 2015. Research must be unpublished and must have been undertaken in the last 3 years. Research which has been submitted for publication will be considered, but details should be given of when and where it has been submitted, and if it has been accepted for publication. A judging process will commence in September which will conclude with four finalists presenting their 15 minute research papers to an adjudication panel on Tuesday 13 October 2015. Click here to download the guidelines and applications form. For further information on the RCPI History of Medicine Research Award, please contact Harriet Wheelock at harrietwheelock@rcpi.ie. Our 2014 winner, Ailish Veale, gave a paper entitled In a class of her own: negotiating religious and medical identities in the missions. You can watch Ailish’s presentation on the RCPI player. You can also watch all the presentations from previous years of the event on the RCPI Player. Colloque international 8-9-10 décembre 2016. Pour le 200e anniversaire du début de la rédaction en 1816 à Cologny près de Genève par Mary Shelley de Frankenstein; or, The Modern Prometheus, ce colloque transdisciplinaire veut revenir sur ce grand mythe de la modernité littéraire avec ses figures, ses lieux, ses thématiques et ses objets spécifiques. Il sera notamment accompagné d’une rétrospective cinématographique (Activités culturelles, UNIGE) et d’une exposition sur les déclinaisons esthétiques de l’œuvre (Musée d’art et d’histoire, Genève). Dans un projet global d’histoire culturelle, le colloque veut mobiliser, croiser et déployer les disciplines et les savoirs des sciences humaines d’aujourd’hui pour penser le genre, les sources directes et indirectes, les antécédents, la genèse, l’écriture, le langage, la publication, la réception, la critique, les éditions, l’iconographie, l’intertextualité, les traductions, la postérité, les avatars culturels du roman Frankenstein : théâtre, littérature populaire, iconographie, arts plastiques, opéra, radio, cinéma, bande dessinée, produits dérivés, etc. À partir de l’œuvre insérée en son contexte socio-culturel, le colloque s’intéressera à la fabrication, à la diffusion, aux usages, à la descendance et aux détournements du paradigme prométhéen qu’universalise depuis deux siècles Frankenstein dans l’imaginaire social. Dans l’héritage naturaliste et expérimental des Lumières, à la croisée des romans philosophique, épistolaire, gothique, noir et d’épouvante, au carrefour du romantisme littéraire et de la « fiction scientifique », on questionnera les grandes thématiques et les ambitieuses questions religieuses, philosophiques, politiques, littéraires, esthétiques, épistémologiques et éthiques sur la connaissance, la science, le savant, le corps, l’identité, le genre, l’expérimentation, la loi, la création et la transmission de la vie, la post-humanité, le mal et la mort que pose l’œuvre romanesque avec son imaginaire « gothique ». Autour du bricolage cadavérique de la créature, dont la bonté innée se brise sur le monde social qui la réprouve en sa difformité corporelle comme incarnation du mal moral, notre colloque balisera le périmètre culturel des sens, des usages et des représentations qu’induisent jusqu’à aujourd’hui les lectures critiques, les déclinaisons et les réappropriations de Frankenstein. Un volume collectif sera tiré des travaux du colloque. Après le Golem (statue d’argile de la kabbale) que vivifie le « Grand rabbin de Prague », la figure démiurgique inspire la romancière Mary Shelley (1797-1851), fille du philosophe William Godwin et de la féministe Mary Wollstonecraft. Au terme d’un tour européen pour fuir l’Angleterre de la Regency, Mary s’installe en mai 1816 à Cologny avec sa demi-sœur Claire Clermont et son futur mari, le poète Percy B. Shelley. Les accompagnent l’écrivain Byron et le médecin William Polidori. L’été 1816 est apocalyptique. Le climat calamiteux attise les cauchemars nocturnes de Mary et la rêverie morbide de ses amis. Ils évoquent le médecin Erasmus Darwin (1731-1802) qui galvanise des cadavres pour les animer. Ils décident de rédiger un récit de fantômes dans le prisme du conte gothique. Le défi est relevé par Mary et Polidori, qui en 1819 édite sa célèbre nouvelle The Vampyre. De son côté,la romancière publie anonymement en 1818 Frankenstein; or, The Modern Prometheus (Frankenstein ou le Prométhée moderne, version française en 1821). Après l’adaptation théâtrale de Richard B. Peake (Presumption or the Fate of Frankenstein), elle le réédite sous son nom en 1823, avant l’ultime version de 1831. Suivant le rousseauisme épistolaire de La Nouvelle Héloïse, Frankenstein déplore la médecine expérimentale et la fabrication d’un nouvel « Adam ». Dans une Suisse pastorale, le récit suit le projet naturaliste de Victor Frankenstein. Ce lecteur de Newton assemble les débris cadavériques d’une créature haute de « huit pieds ». Y ayant greffé un cerveau, il l’anime puis voit l’éveil de la « matière inerte ». Le naturaliste est écrasé par son audace. Si la face de l’Homme créé par Dieu incarne sa bonté, celle suturée de la créature affolée reflète la noirceur morale du démiurge. Rayonnante d’amour pour l’humanité, apprenant à lire comme Rousseau dans les Vies des hommes illustres de Plutarque, mais « terrifiée » par son reflet aquatique, la créature est poussée au mal par la société qui l’abomine. Seul un vieillard aveugle la réconforte. Pressé par le « monstre » que sa défiguration prive d’« affection », Frankenstein veut créer une « réplique féminine », puis recule pour ne pas générer une « race » dénaturée. L’« hideux monstre » plonge alors son « maudit créateur » dans la désolation. La joute titanesque culmine au cœur des ténèbres purificatrices du Pôle Nord. 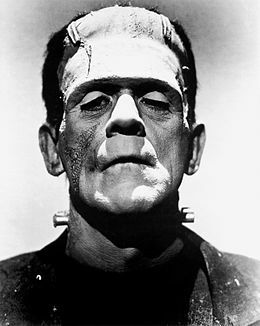 Best-seller planétaire et intarissable source d’inspiration culturelle, le roman est adapté au cinéma au moins 135 fois depuis le Frankenstein matriciel de J.S. Dawley en 1910. Dans la cinquième version filmique par James Whale (Frankenstein, USA, 1931) pour Universal, Boris Karloff immortalise la face douloureuse du monstre, avant que la Hammer ne s’empare dès 1956 du Démiurge des Lumières. Rendu fou par sa recherche résurrectionniste, Frankenstein y devient le vrai monstre moral du mythe. Journée organisée avec le soutien de l’IRIS dans le cadre du cycle de manifestations scientifiques "Médecine légale et santé publique" entamé en 2014 (voir le programme sur le site de l'Iris http://iris.ehess.fr), cette troisième journée d’étude qui aura lieu à l’EHESS-Paris le 8 décembre 2015 sera consacrée à la présentation de regards croisés sur la profession de médecin légiste. Elle est destinée à rassembler des médecins français et étrangers et des chercheurs en sciences humaines, juridiques et sociales confrontés à la question de l’identité professionnelle du médecin légiste, et de ses liens réels ou supposés avec la médecine légale, dans un contexte où son travail fait l’objet de multiples attentes, et de représentations parfois contradictoires. - Comment les médecins légistes se voient-ils eux-mêmes ? Comment les autres médecins les voient-ils ? Quels liens établir entre le médecin légiste et la médecine légale ? - Quels regards les sciences humaines, juridiques et sociales portent-elles sur le médecin légiste et la médecine légale? Working a World of Hurt fills a lacunae in the studies of the psychological trauma wrought by war by focusing not on soldiers, but on the men and women who fought to save them in casualty clearing stations, hospitals, and prison camps. 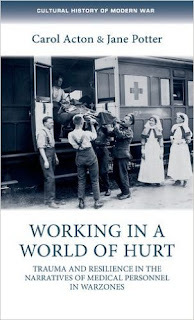 Through a rich analysis of both published and unpublished personal accounts by doctors, nurses, ambulance drivers and other medical personnel from the major wars of the 20th and early 21st centuries, Acton and Potter uncover a spectrum of responses to what was often unimaginable suffering, responses that ranged from breakdown to resilience, from exhausted resignation to firmer belief in humanity despite the brutalities of armed conflict. Organised chronologically, the chapters are distinguished by their focus on such individuals as American ambulance drivers in the First World War, British P.O.W. 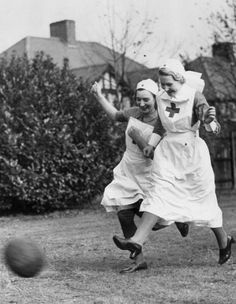 doctors in the Second World War, and nurses, doctors and medics in the Vietnam War. And with a chapter dedicated to the recent narratives of medical personnel in Iraq, the study is highly topical and situates the life-writing from these contemporary wars within a larger tradition of war literature. Wide-ranging in scope and interdisciplinary in method, Working in a World of Hurt puts the letters, diaries, memoirs, and weblogs that chronicle physical and emotional suffering centre stage, many for the first time. These testaments to the torment of combatants also--crucially--bear witness to the harrowing struggles of wartime healers. Scholarly yet accessible, it will appeal to lecturers and students as well as the general reader. This two-day conference will explore the shifting political, socio-economic, cultural and medical influences that have formed and perpetuated cultures of harm from the eighteenth century to the present day across the world. We are particularly interested in the production of harmful practices – physical, sexual and psychological violence directed by one person or group against another – in therapeutic and caring environments. These might include hospitals and infirmaries, psychiatric facilities, religious institutions, care homes, children’s homes and educational establishments, as well as infirmaries and medical spaces in prisons and correctional institutions, military barracks, camps and workhouses. Please submit an abstract of up to 300 words together with a brief outline of your academic affiliation to trauma@mail.bbk.ac.uk by 20 September 2015. You will be informed whether or not your paper is successful in early October. Some travel and accommodation bursaries may be available. « Qu’a fait l’action génitale aux hommes, si naturelle, si nécessaire, et si juste, pour n’en oser parler sans vergogne », s’indigne Montaigne qui ne se prive pas, quant à lui, de mettre la pudeur au service de l’économie sensuelle de son œuvre. Car qui « n’y va que d’une fesse » y va tout de même. Aussi fallait-il dégager la pudeur d’une approche anthropologique naïve, pour souligner l’ambiguïté d’une passion où le retour de l’obscène le dispute sans cesse au refoulement vertueux. Mesurer également combien la Renaissance dut repenser cette ambivalence, en confrontant l’héritage antique et médiéval à ses propres découvertes. Du De verecundia de Salutati (1390) jusqu’à l’officialisation du mot au XVIIe siècle par Vaugelas, s’invente en effet, au fil d’un débat où se croisent médecine, morale et rhétorique, un usage retors de la pudeur, à la fois épistémologique et poétique. Son enjeu n’est rien moins que le rôle assumé par les écritures du corps dans l’élaboration d’un savoir sexuel où la production de vérités conjugue toujours art érotique et art de ne pas dire. The theme for 2015, ‘Alchemy and Chemistry in Sickness and Health’, seeks to explore the relationship between alchemy and chemistry on the one hand and, on the other, the health of individuals and/or of society as a whole. Topics may address the intentional use of alchemy and chemistry for purposes relating to health or the unintended side-effects of their employment in this area. We would like to invite papers (between 15 and 20 minutes) on topics related to the workshop theme in any historical period. Please submit an abstract of up to 200 words by email to the SHAC student representatives, Judith Mawer (Goldsmiths, University of London) and Mike A. Zuber (University of Amsterdam), studentrep@ambix.org. The deadline for the submission of proposals is 30 July 2015. Presenters should either be currently enrolled as postgraduate students or active as junior researchers (within three years of PhD completion). The workshop is free of charge. Bursaries are available towards the cost of travel and/or accommodation for confirmed presenters in the first instance. History of Psychology invites submissions for a special issue on the history of psychotherapy in North and South America. How can we make sense of this ubiquitous and yet historically elusive practice? This special issue of HOP opens up the conversation to historians from a broad spectrum of specialties. We welcome contributions on any aspect of the subject in North or South America, but ask contributors to keep within the time-frame of late 19th century (when the term “psychotherapy” originated) to the present. We are excited to announce that this special issue will be coordinated with a special issue of History of the Human Sciences on the history of psychotherapy in Europe (guest editor Sarah Marks). This simultaneous publication of two special issues on the history of psychotherapy marks the beginning of an international conversation about what psychotherapy is and how its practices have proliferated across time and culture. The submission deadline is January 1, 2016. The main text of each manuscript, exclusive of ﬁgures, tables, references, or appendixes, should not exceed 35 double-spaced pages (approximately 7,500 words). Initial inquiries regarding the special issue may be sent to the guest editor, Rachael Rosner <rachael@denenberg.com> or the regular editor, Nadine Weidman <hop.editor@icloud.com>. Grant Activity: Conduct research at the Sigmund Freud Foundation in Vienna and teach between one or two courses or seminars on a topic related to the research project at a Viennese host institution. Applicants should explain why their research needs to be conducted in Vienna. Details of teaching assignment are to be arranged by the Sigmund Freud Foundation and the Austrian Fulbright Commission in consultation with grantee. Comments: Applicants must solicit a letter of invitation from the Sigmund Freud Foundation by submitting a curriculum vitae and research/lecturing proposal. Grantee will have a workstation in the library of the Sigmund Freud Museum. Visit www.freud-museum.at for more information about the Freud Museum. This is the first systematic scholarly study of the Ottoman experience of plague during the Black Death pandemic and the centuries that followed. 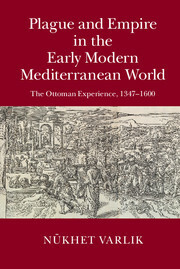 Using a wealth of archival and narrative sources, including medical treatises, hagiographies, and travelers' accounts, as well as recent scientific research, Nükhet Varlik demonstrates how plague interacted with the environmental, social, and political structures of the Ottoman Empire from the late medieval through the early modern era. The book argues that the empire's growth transformed the epidemiological patterns of plague by bringing diverse ecological zones into interaction and by intensifying the mobilities of exchange among both human and non-human agents. Varlik maintains that persistent plagues elicited new forms of cultural imagination and expression, as well as a new body of knowledge about the disease. In turn, this new consciousness sharpened the Ottoman administrative response to the plague, while contributing to the makings of an early modern state. We are seeking to appoint a Research Assistant to work on a project examining the intellectual and policy history of the ‘health systems’ concept. This project is a component of Dr Martin Gorsky’s Wellcome Trust Medical Humanities Investigator Award ‘Health Systems in History: Ideas, comparisons, policies’, and the post-holder will work under Dr Gorsky’s direction. The post is based in London at the Centre for History in Public Health http://history.lshtm.ac.uk/ in the Faculty of Public Health and Policy, London School of Hygiene and Tropical Medicine. The post-holder will be expected to undertake literature searches, research on primary documentary sources and some oral history work, all relating to the development of health systems as an idea and as an object of policy. In addition, s/he will be expected to: play a full part in the work and collaborative activities of the Award team; present research findings to conferences, seminars and workshops and the media; and collaborate in writing up results for a range of outputs, which may include peer-reviewed journal articles and non-academic outputs. There will also be some teaching duties. S/he will be required to have a Masters level qualification (or equivalent) in history or a related social science discipline, experience of conducting historical research, ideally in a health context, as well as proven ability to write up research findings for dissemination in a range of formats for different audiences, such as websites and reports. The post-holder will also have a proven ability to deliver research outputs to project deadlines, the ability to collaborate effectively as part of a team and excellent interpersonal and communication skills. The appointment will be full time, commencing October 2015 until March 2019. Salary will be on the Research Assistant Scale, £32,324 - £37,106 (inclusive of London Weighting) (as at 01.08.14). Appointment will be subject to LSHTM terms and conditions, including membership of the Universities Superannuation Scheme, an annual leave allowance of 30 days pro rata plus 6 fixed ‘Director’s Days’ and season ticket loan. For informal enquiries please contact Dr Martin Gorsky, martin.gorsky@lshtm.ac.uk. Applications should be made on-line via our website at http://jobs.lshtm.ac.uk The reference for this post is MG-RA1. Applications should include a CV and the names and email contacts of two referees who can be contacted immediately if shortlisted. Any queries regarding the application process may be addressed to jobs@lshtm.ac.uk. Closing date for the receipt of applications is 11 August 2015 and it is anticipated that interviews will be held in September 2015. Over the last fifty years, British patients have been transformed into consumers. This book considers how and why the figure of the patient-consumer was brought into being, paying particular attention to the role played by patient organisations. 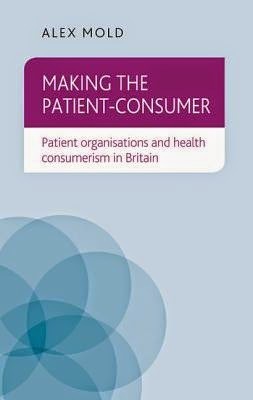 Making the patient-consumer explores the development of patient-consumerism from the 1960s to 2010 in relation to seven key areas. Patient autonomy, representation, complaint, rights, information, voice and choice were all central to the making of the patient-consumer. These concepts were used initially by patient organisations, but by the 1990s the government had taken over as the main actor shaping ideas about patient-consumerism. This volume is the first empirical, historical account of a fundamental shift in modern British health policy and practice. The book will be of use to historians, public policy analysts and all those attempting to better understand the nature of contemporary healthcare. All submissions should be sent to the journal editor by the 1 September 2015. Details of the winning essay and its author will be announced in early 2016. The William Bynum Prize will take the shape of a £250 cash award and £250 in Cambridge University Press vouchers. The winning entry will be published in Medical History if it succeeds in undergoing the journal’s usual reviewing processes. ‘Sense and Diagnosis’, an exhibition curated by students from MA Art Gallery and Museum Studies at the University of Manchester, opens at Chetham’s Library in Manchester on 17th July 2015. Sense and Diagnosis draws on collections from the Museum of Medicine and Health (University of Manchester) and Chetham’s Library to explore the role of the senses in medical diagnosis. 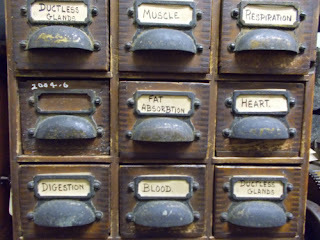 The five senses are the doctor’s most fundamental toolkit. Throughout history medical physicians have used their hands, eyes, ears, noses and even tongues to interact with the bodies of their patients; to assess what is happening below the skin and diagnose disease. This makes for an incredibly intimate relationship, but one that is increasingly mediated by medical technology. The stethoscope, the thermometer, the pen torch; they all serve to enhance the doctor’s senses, but they also create a distance, both physically and emotionally. The project started its life as a group exhibition proposal for the Managing Collections and Exhibitions MA module. With support from the Institute for Cultural Practices, the Museum of Medicine and Health and Chetham’s Library, the five students have been able to make the project happen for real. This will include a unique performance art event ‘See / Hear / Touch’, which is a series of one-to-one performances exploring the relationship between the senses of sight, hearing and touch and medical diagnosis. The performances, which will take place in Chetham’s Library during the preview event on Thursday 16th July 2015, draw on a variety of influences, from personal experience, medical equipment to research into historical diagnosis techniques. From Christina Lee’s discovery of the MRSA-combatting properties of an Anglo-Saxon recipe, to the increasing popularity of Ian Williams’ Graphic Medicine as a teaching tool for medical students, current research into the intersections between medicine, text, and image is producing dynamic and unexpected results (Thorpe: 2015; Lee: 2014; Taavitsainen: 2010; Couser: 2009; Cioffi: 2009; Díaz-Vera: 2009). With this conference, our keynote speakers will encompass collections-based approaches to medical humanities research (Prof. Jeremy Smith); the use of modern medical knowledge to inform medieval material research (Dr Deborah Thorpe); and creative approaches to medical humanities and contemporary medical practice. Recent years have seen several conferences and publications on paratextual research, and a range of events orientated around literature and medicine, but there is little crossover between the two fields. We propose that the breadth of research into medical book history in the medieval and early-modern period will prompt productive and innovative overlaps with work on modern medical paratexts and graphic novels. By focusing exclusively on medical paratexts, our aim is to establish an interdisciplinary network of scholars interested in graphic communication and medical practice. In addition to our keynote speakers and roundtable discussion, Glasgow’s Special Collections department have agreed to curate a display of medical marvels, medieval to modern, to coincide with the conference. The conference venue, the Sir Alwyn Williams Building, is fully accessible. If you have any questions, please email the organising committee (Dr Hannah Tweed, Dr Diane Scott, and Dr Johanna Green), or contact us via @ParatextMatters. Les archives du fonds 1914-1918 du service des archives médicales et hospitalières des armées, du centre de documentation du musée du service de santé ainsi que la presse locale corrézienne ont permis de reconstituer l’histoire des hôpitaux militaires temporaires qui ont fonctionné à Brive et dans ses environs pendant la Grande Guerre. Le programme de recherche « Soldats hors de contrôle ? Histoire croisée des accidents dans l’armée en France et en Allemagne en temps de paix et de guerre, 1920-1970 », mené dans le cadre d’un Groupe de recherche conjoint Fribourg et Strasbourg, financé par l’Institut d’Études Avancées de Fribourg (FRIAS) et l’Institut d’Études Avancées de l’Université de Strasbourg (USIAS), lance un appel à candidatures pour un post-doctorat à réaliser à Fribourg et Strasbourg, à compter du 1er octobre 2015, pour une durée de deux ans. Le programme de recherche se consacre à l’histoire des accidents en milieu militaire, en temps de paix et en temps de guerre au XXe siècle, dans la perspective d’une histoire croisée franco-allemande. Saisissant les armées comme une institution sociale, il a pour objet d’étudier les enjeux sanitaires, techno-scientifiques, juridiques et politiques de la gestion et régulation du risque « accident », engageant autant la politique des institutions, les savoirs des experts et les savoirs pratiques et incorporés des soldats. Il s’interroge sur les transformations des dispositifs de prévention face à l’usage de technologies militaires complexes au XXe siècle. La recherche est fondée sur des études de cas empiriques conduites à partir d’archives. ‐ Lors de sa prise de fonction, le post-doc devra être titulaire d’un doctorat, de préférence en histoire ou en histoire des sciences. ‐ Domaines de compétence : histoire contemporaine (France et Allemagne au XXe siècle), histoire sociale des sciences (STS), histoire et sociologie du risque. ‐ Expérience confirmée de travail sur archives. ‐ Maîtrise linguistique en français et allemand (travail de recherche) et en anglais (communication). ‐ la contribution à l’élaboration et à la publication d’un volume collectif sur le thème du programme. Le post-doc sera localisé à Fribourg ou à Strasbourg, effectuera les déplacements en archives financés par le programme et participera aux échanges réguliers qui se tiendront dans les deux villes.